What is Maibowle? A Refeshing Wine Punch from Germany! 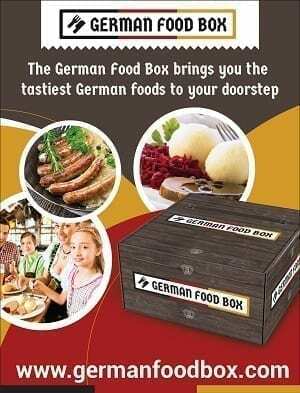 Home German Foods and Recipes German Beer and Wine What is Maibowle? A Refreshing Wine Punch from Germany! My mother often made a Bowle when we had large party. These wine punches were a refreshing hit on warm summer afternoons in Southern California. Usually, they were made with wine, a bit of sugar, maybe some brandy, and fruit or herbal ingredients to give them more flavor. One of the more famous Bowles… a Maibowle…. But… What is Maibowle? A May Punch? What’s in it? What does it taste like? Are the ingredients available in the US? And most important… where can I get the recipe for Maibowle?? Let me try to answer all your questions here…. What is Sweet Woodruff? What is Waldmeister? Maibowle is best described as an augmented wine punch similar to Sangria. Instead of citrus, the wine is flavored with Waldmeister (Sweet Woodruff). By steeping leaves in wine the wine is imparted with a sweet herbal flavor that some people liken to sweet hay or lemon grass, others think it tastes of marzipan or almonds. My favorite description… “it tastes green”. Traditionally, Maibowle is served on Maifest the May Day holiday… but any time during the spring you will find it on Menus or at gatherings. It’s a simple drink to put together, and great for parties. Learn More about Maifest HERE–> What is Maifest? Maibowle or May Bowl is a Traditional German Sweet Woodruff infused wine Punch, traditionally served on May Day. It's the perfect thing for a bunch or warm afternoon party! Let the Sweet Woodruff lay on a plate for a few hours to wilt a bit. If you are in a hurry, put it in the freezer for 30 minutes. Steep the Sweet Woodruff in the Wine. Take care to keep the stem ends out of the wine. It's best to tie the stems together, then tie them to a wooden spoon laying across the bowl. 30 minutes should be enough, or the flavor may get too intense.... and you could get a headache! Take the Sweet Woodruff/ Waldmeister leaves out of the wine. Add some fresh strawberries- whole or slices- to the bowl. There is a milky substance in the stems of Sweet Woodruff/ Waldmeister that is quite bitter. You don't want this in your wine! Either bundle the herb with the stems up out of the wine, or strip the leaves from the stems, and throw the stems away. Stir together and let chill for at least 20 minutes. Serve over ice with a bit of lemon peel. 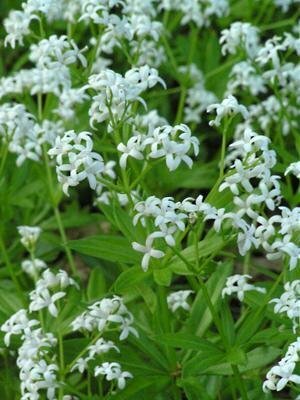 A chemical called Coumarin makes Sweet Woodruff or Waldmeister smell so delicious. Sweet Woodruff was frequently used in the Middle Ages as a Medicinal Herb for digestive issues, uterine cramps and menopause side effects. Herbalists would often pound it into a poultice to heal wounds and bruises. Also, because of it’s long lasting sweet smell, it was often stuffed into mattresses to make the bed smell better… or hung in churches as a symbol of humility. While Coumarin is mildly toxic to the kidneys, it is only in large quantities. Some especially sensitive people may experience dizziness, headaches or vomiting. 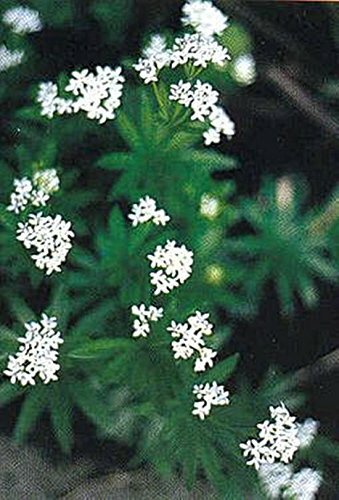 If you are a migraine sufferer, you may want to go easy with Sweet Woodruff. 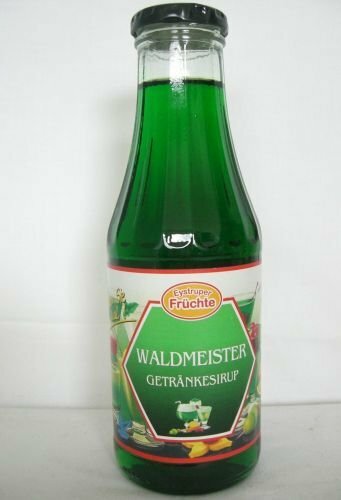 In Germany “Waldmeister Flavor” is associated with drinks, Waldmeister Jello (aka Gotterspeise), and Waldmeister syrups. It tends to be a wildly fluorescent and artificial green color (which is great for kids)…..You will also find it in a Berliner Weisse (which is great for adults). The video is in German, but it’s easy to follow. It’s just a good way to see the technique.. 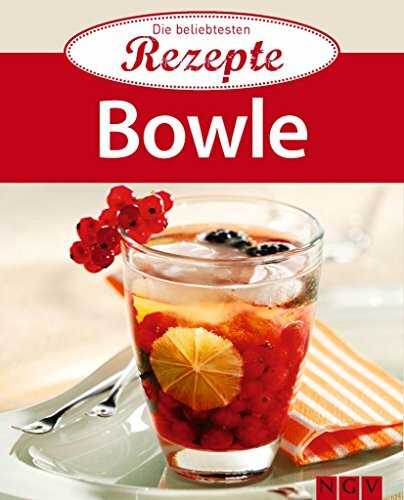 This little Kindle book is loaded with 20 delicious recipes for Bowle that you can serve for your next party. Where to Buy A Feuerzangenbowle Set – Feuerzangenbowle Recipe Too! previous What is Eis Wine? German Ice Wine / Eiswein? 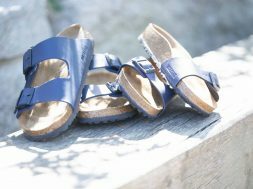 next Where to Get a Personalized Beer Boot- And What to DO With it! Please correct your post on Pflaumenkuchen. It is NOT made with Italian plums, since there really is no such thing. There are several, but none are Italian. Germans use a kind of prune plum and they grow most of it in country. Eastern European countries also use it, and again – it’s not an Italian plum, whatever that means. So much food is called Italian in the US, when it not. I do love your FB posts and follow them every day, or whenever I log on. Keep up the good work! When these longer plums are sold in the stores near me… they are called Italian plums. Italian plums are called Italian prune plums because they were the ones used to make prunes, usually by Italian or Yugoslavian orchardists. They had blue skins with yellowish green interiors. Raised in Santa Clara County, known for its orchard fruits, before it became Silicon Valley!! In the receipe, you should say lying across the spoon instead of laying across the spoon.